Nine years after Bulgari partnered with Save The Children, its CEO Jean-Christophe Babin visited the Za’atari refugee camp in Jordan to personally view the three pre-schools that the brand helped to build. The field trip not only opened his eyes to the gravity of the Syrian crisis but also strengthened his commitment to Save The Children’s efforts in building a better life for millions of at-risk children around the world. The Za’atari refugee camp covers 5.2km2 of land housing 80,000 refugees who have fled from the civil war in Syria. The sheer size of the biggest refugee camp in Jordan poses a monumental challenge for infrastructure. With half the community here made up of children, Bulgari and Save The Children (STC) understood the urgency in providing the right opportunities in order for these children to have any hope at all for a productive life beyond the camp. One of these opportunities is access to proper education. Since 2014, Bulgari and STC have built three pre-schools here that can accommodate at least 16,000 children below the age of 5. The fund to build these schools was raised through sales of a dedicated Bulgari jewellery collection comprising a ring, a bracelet and a pendant. Since Bulgari started its partnership with STC in 2009, it has donated more than US$80mil (about RM318mil) to STC. After his visit to the camp, Babin announced that Bulgari will contribute an additional US$1.2mil (RM4.8mil) to support STC’s activities at Za’atari. How did Bulgari first become involved with Save The Children? Bulgari’s mission and ultimate sense of purpose is to share the joy of crafting and shaping the gems of nature whether they are rare gemstones in Colombia or mesmerising flowers in India. Then there are the human gems, the children themselves who are our hopes for the future. This is what led us to focus on philanthropic activities that improve the lives of children. Save the Children seemed to us to be an efficient, trustworthy and innovative organisation working towards to this aim. Over the years, it has proven that it is, hence our long-term commitment. The visit to Za'atari was your first field trip with STC outside Italy. What compelled you to make this trip? Za’atari is the largest Syrian refugee camp in the region. Established in 2012 to temporarily host Syrians fleeing the violence of civil war, it has evolved into a city made up of prefabricated buildings. Considering its magnitidude, I was keen to see for myself what STC had been doing in this refugee camp. I already knew about the professionalism and the seriousness of the people who work for STC, but what I saw at Za'atari surprised me further. They demonstrated a lot of passion and, more importantly, positive attitude. It was a lesson I will never forget. What has Save The Children been doing to improve the lives and future of the children at the camp? The answer is creating opportunity. In life you can be lucky or unlucky, but if you have access to good education, you can change your life. The three Early Learning Centres put in place in Za’atari by Bulgari and Save the Children allow thousands of children to benefit from inspiring coaching and support to shape a better life ahead. 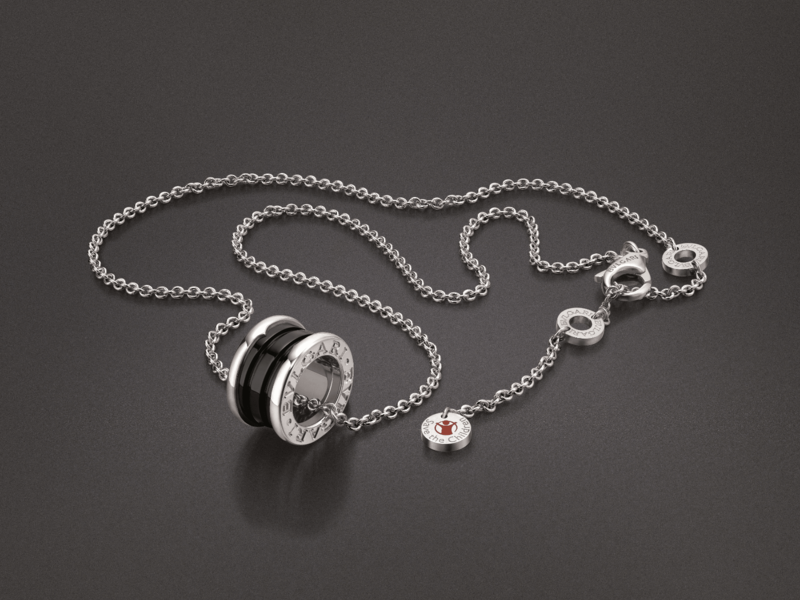 Why is it more important than ever that Bulgari continues to work with Save The Children? I’m very proud that as a private company, we contribute financially to these major initiatives that could have a game-changing impact on so many lives. The visit taught me that constancy is a real value and we need to continue in this way. The impact of a donation for a project makes more sense if the project is followed through from beginning to the end over the years. How has this visit affected you on a personal level? I felt a deep sense of relief and happiness to be able to witness so many smiles and laughter despite the hardship of the environment as well as the devastation and loss (these refugees) have encountered. Through our work, they have the opportunity to fight for a better future. But there’s certainly more than we can do. What more do you plan to do to help Save The Children? The funds raised through this partnership have been invested in 100 projects in 33 countries, benefitting more than one million at-risk children and youth through education, emergency response, poverty reduction, and youth empowerment programmes. We will celebrate our 10th anniversary of partnership next year. We’re happy with what we have been able to achieve together and that only inspires us to act even more forcefully moving forward.